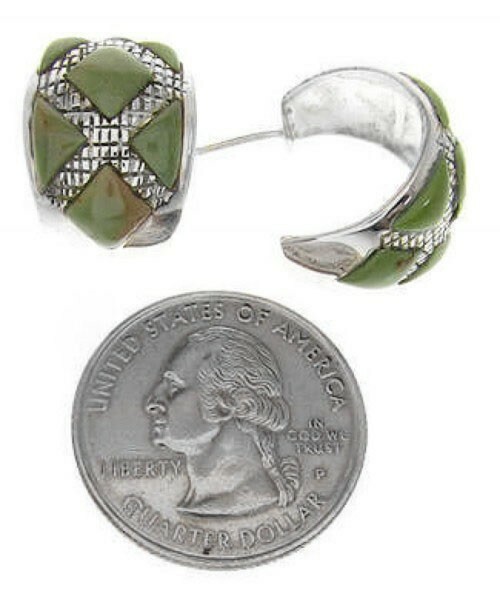 Post hoop earrings measure approximately 3/4" long and 1/2" at widest point. We bring to you these adorable earrings! 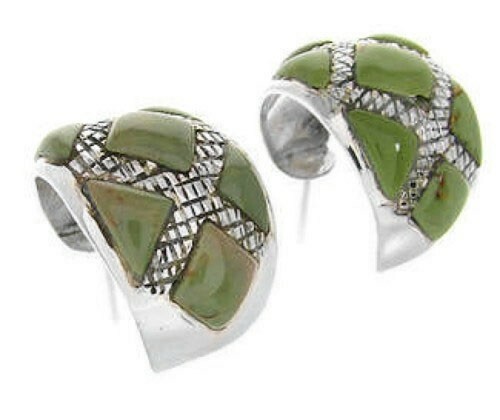 The earrings are crafted out of genuine sterling silver and real Turquoise inlay. 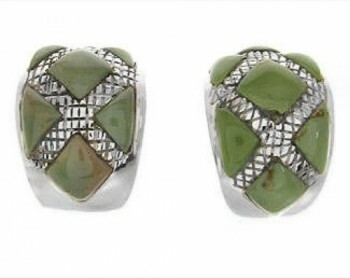 The inlay is delicately set, while stamped silver work can be seen accenting and completing the earrings beautifully. The earrings are stamped sterling and hallmarked.